Sometimes the Fair Stone logo is used fraudulently. 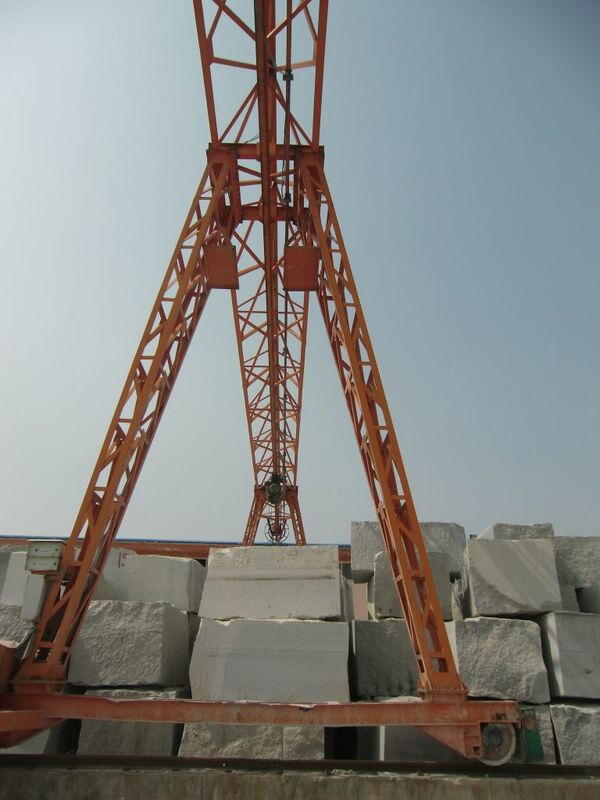 Some European natural stone traders, which are not Fair Stone Partners, use the label illegally to participate in tenders that require an independent label. 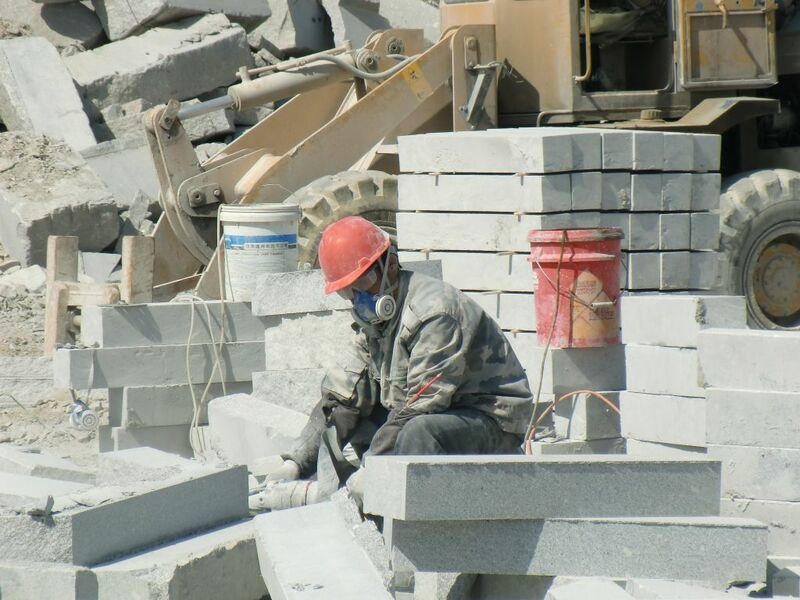 It may even happen that Fair Stone Partners sell products that have not been processed in factories or quarries not registered as Fair Stone suppliers. Sometimes the label is placed on products that come from registered factories, but the logo usage requirements are not yet fulfilled. Please report suspicious cases so we can check and ensure the right usage. 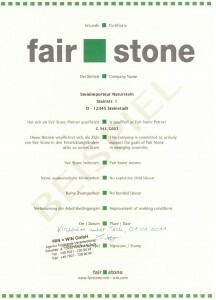 The Fair Stone label marks products and materials, no factories. 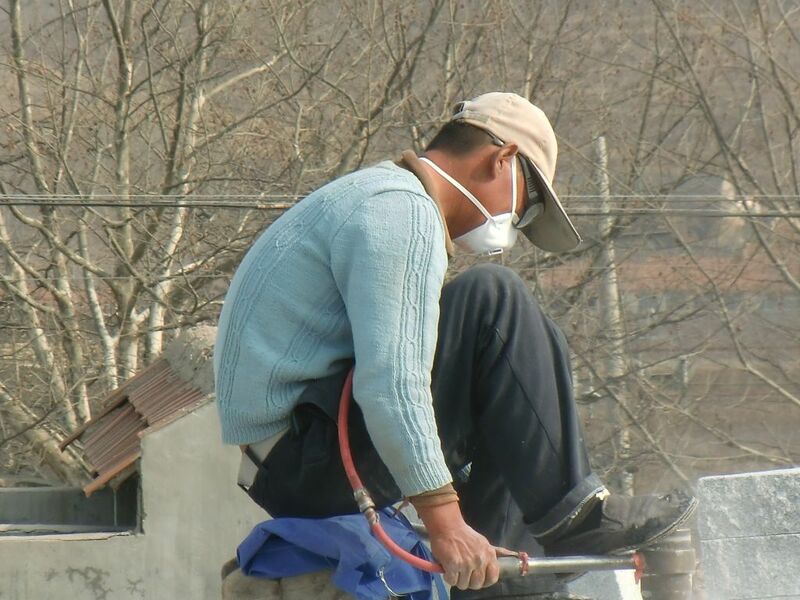 The factories implement the criteria to improve the working conditions. Not all materials that are produced in one factory come from traceable sources. Sometimes quarries are operated illegally or materials come from other countries and are bought in blocks for further processing. 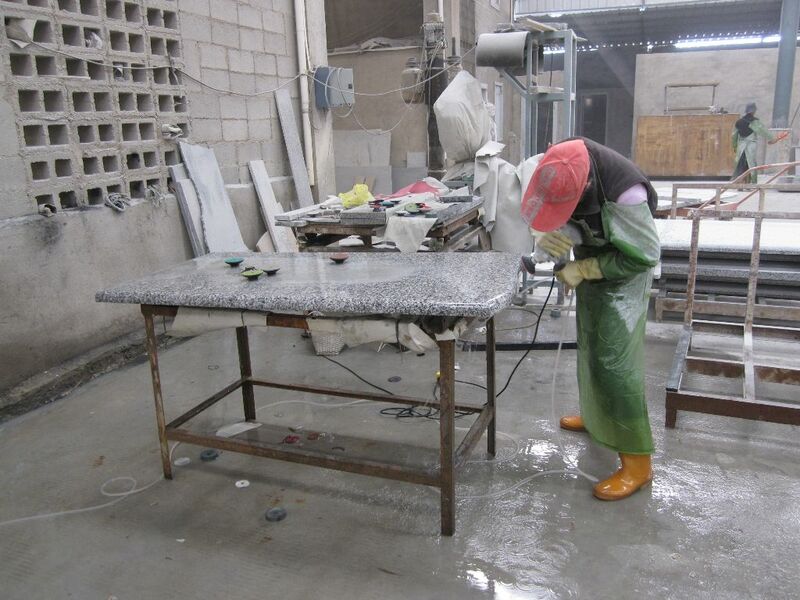 Such material cannot be labelled as Fair Stone, even if the last production steps are conducted in the same factories as Fair Stone products. 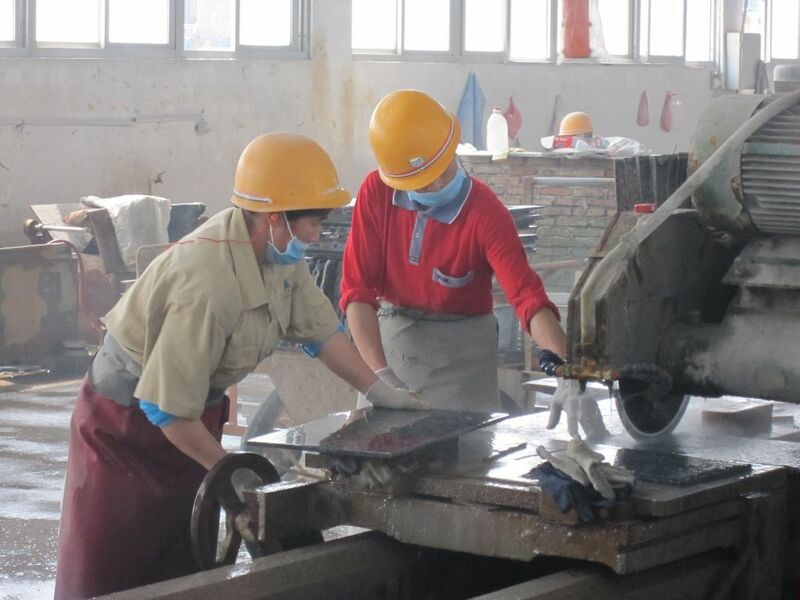 Before a factory is registered with Fair Stone, the factory management has to fill out the Supplier Agreement. 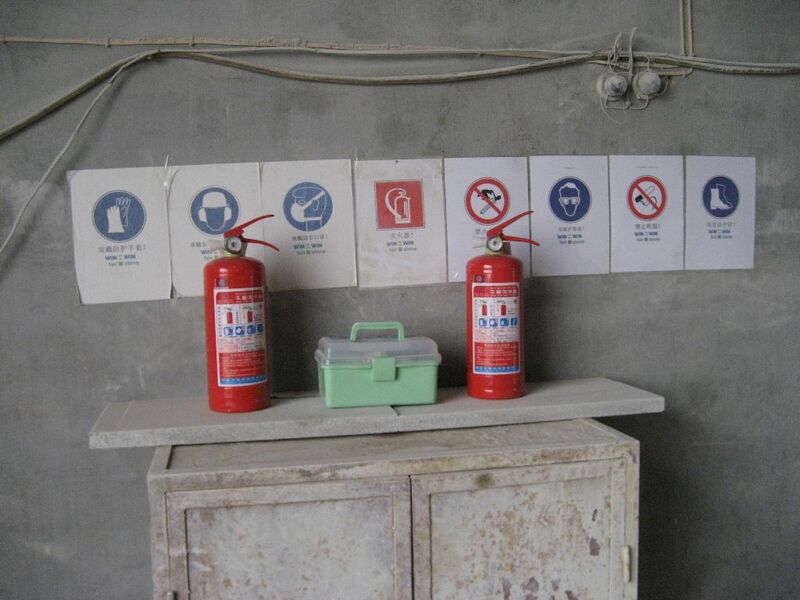 Next to general information on the factory and the workers, all materials and products that are produced in the factory and shall be labelled have to be provided. The factory manager confirms that all information is correct. He agrees to no child or bonded labour on his premise and to constantly improve the working conditions. The accuracy of this information is confirmed by the local Fair Stone Representative. 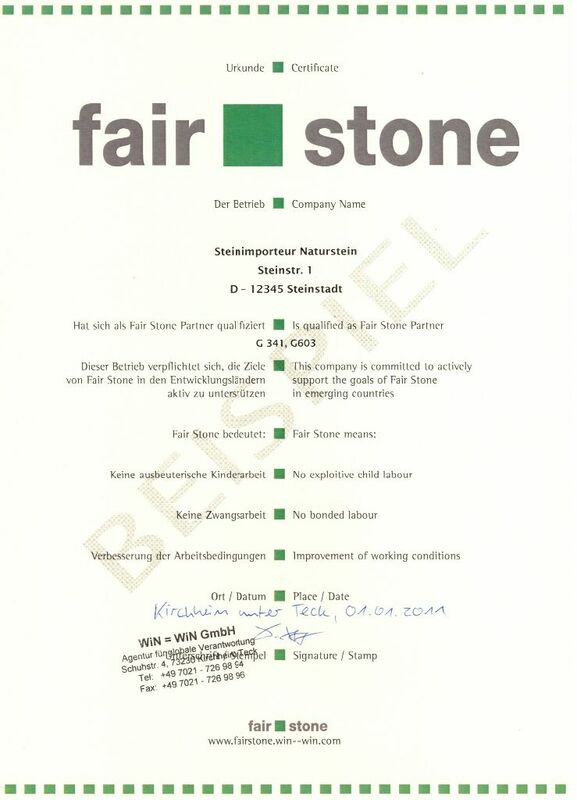 The Fair Stone Partner receives a certificate documenting the commitment for better working conditions and listing all registered material. Only listed materials can be entered into the Tracing Fair Stone software and receive labels and barcodes.